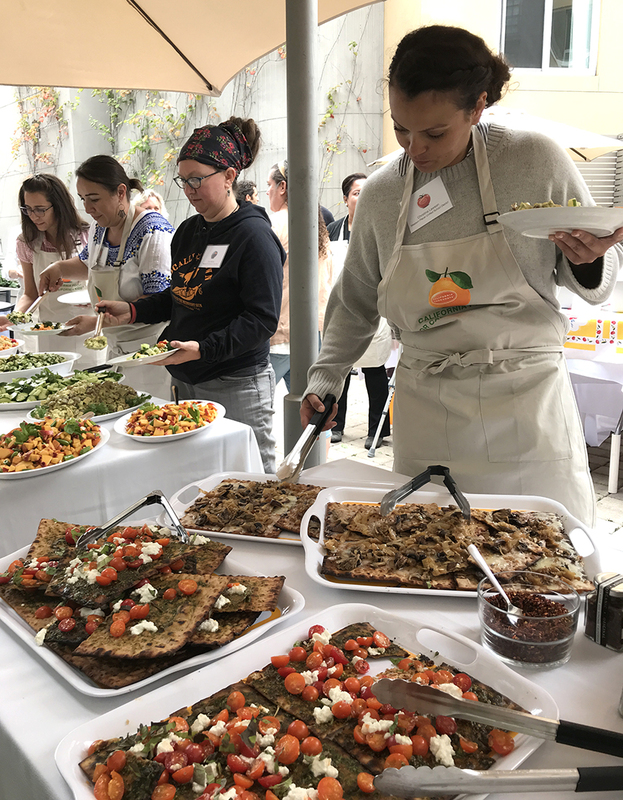 On September 5, the Center for Ecoliteracy welcomed 19 new school districts into the California Thursdays Network at the David Brower Center in Berkeley. Attendees, representing both new and veteran districts, came from the length and breadth of our state. 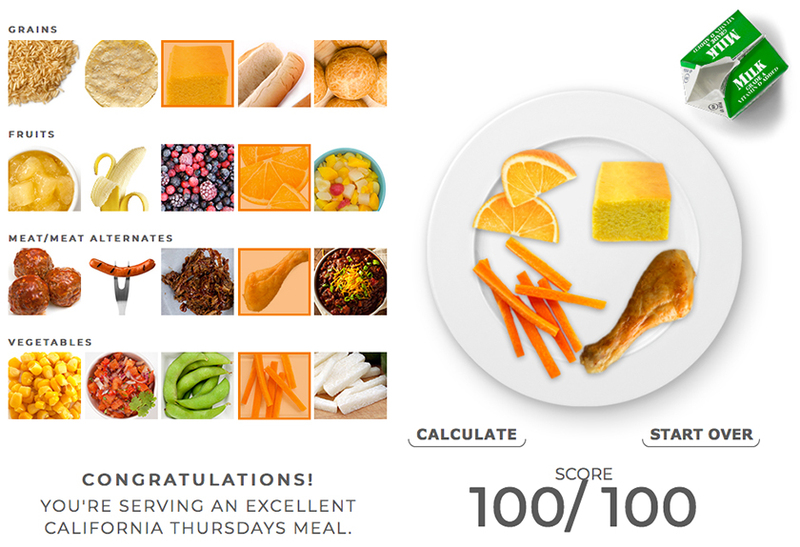 With the addition of our newest members, the California Thursdays network has grown to 90 districts in 33 counties who collectively serve over 345 million school meals a year. The day was filled with opportunities to learn, network, and prepare meals using fresh California-grown ingredients. New members heard from veteran districts about effective strategies for incorporating California Thursdays meals into their nutrition services program. Center for Ecoliteracy staff introduced resources available on the California Food for California Kids website, including promotional materials, such as banners, posters, and imagery and the California Foods for California Kids product database. 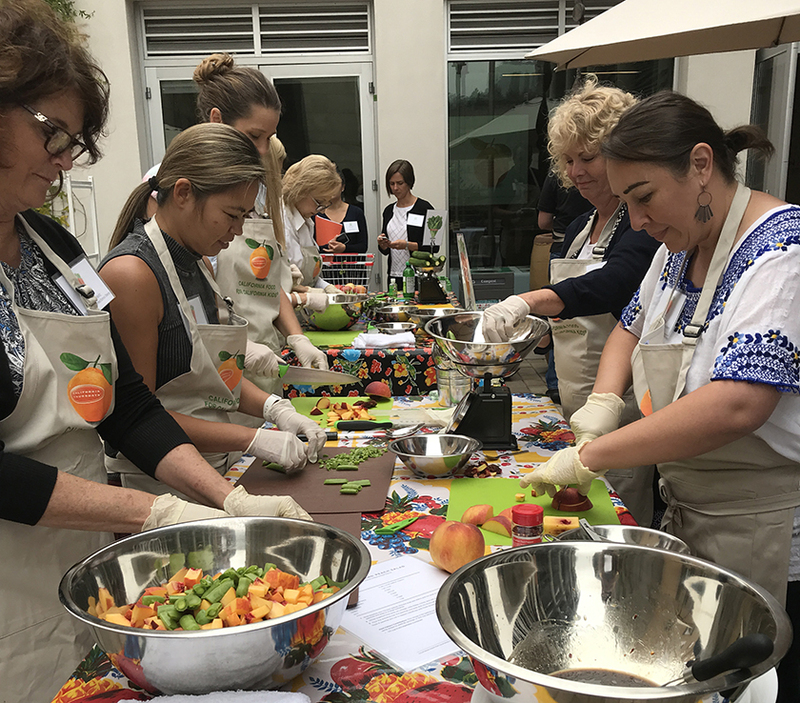 At lunchtime, we broke into groups and prepared California Thursdays dishes, including summer snap pea and peach salad, curried chicken salad, and pasta salad with roasted vegetables. Later, new members received a briefing on communications for our upcoming Collective Action Day on October 25, and media training from Mike Miller of Brown-Miller Communications. “This has been a wonderful experience. Connecting with peers has boosted my confidence in my ability to execute this program,” remarked Ed Burke, Director of Food Service at Calistoga Joint Unified School District. The success of the day demonstrated the value of convening talented network partners to build knowledge and relationships.